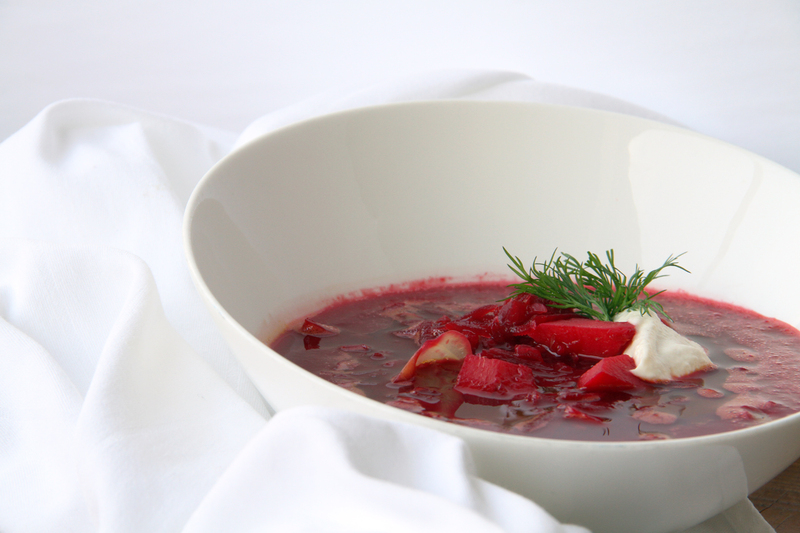 Borscht has been a staple meal in Eastern European diets for hundreds of years. When I was growing up in Czech Republic my Mom (who loves beets) would make this soup on a regular basis, however as a child I really didn’t care for it. Beets were just not my thing and I did a pretty good job avoiding them for many years to come. But things can change. Life is a learning process and over the years on my plant based journey I have learned all the amazing benefits that beets can provide us. So I decided to give them another shot. Much to my surprise I actually enjoyed this beautiful red rooted vegetable. These days beets are a regular part of my diet, especially in the winter time. Today I would like to honor my Mom by featuring this vegan version of one of her favorite recipes. 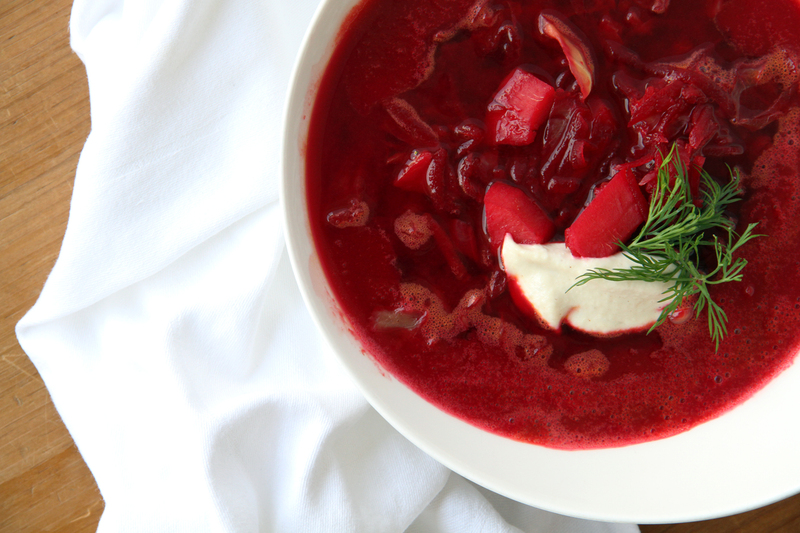 Enjoy this plant based twist on traditional borscht! Soak cashews in 1 1/2 cups of warm water overnight. Peel and finely chop the scallion. Set aside. Scrub the beets well under cold water, peel them and grade them using hand grader or food processor. Next take the carrots, wash, peel and grade them as well. In a large pot heat the coconut oil over medium heat. Add the scallion and cook for 1-2 min, stirring frequently. Add shredded beats and carrots and stir it all together. Next add 2 tablespoon of water and juice of 1/2 lemon. Reduce the heat to low and simmer for about 20 minutes. Meanwhile peel the sweet potatoes and diced them into small cubes. After 20 minutes of simmering, add 6 cups of boing water into the pot. Shred 1/2 cabbage and add to the soup. Let it cook for 5 minutes. Add in the bay leaves and peppercorn, stir it all up and let cook for another 5-10 minutes. 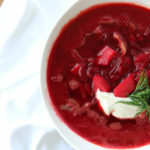 To serve the borscht pour it while its still hot into your favorite bowl. You can enjoy it just like this, or go the extra mile and serve with dairy free sour cream (recipe bellow) and garnish with fresh chopped dill. Strain the cashews and rinse them under cold running water. Blend on high for 5-7 minutes, scraping down the sides as needed, until very smooth and creamy. Serve 1-2 spoonfuls on top of the borscht soup. Transfer the rest into a mason jar or other glass airtight container. Can be stored in your fridge for up to 1 week. Looking for more whole food plant based recipes with nutrition benefits? Follow us on Instagram!